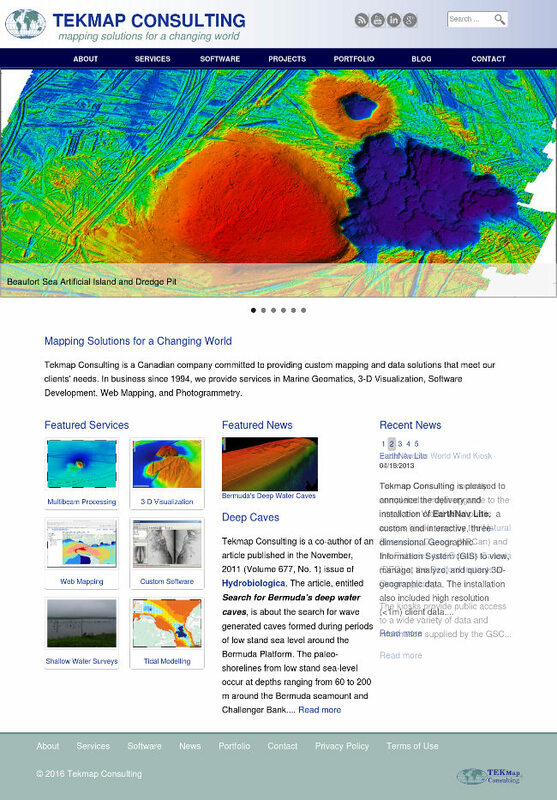 Tekmap Consulting is pleased to announce the launch of our redesigned website. The website has undergone several changes including: updated styles, mobile responsiveness, and new content. Our portfolio now features examples of our projects, a new image gallery, and an updated movie gallery. The article and blog pages now provide enhanced browsing features. We are also pleased to introduce two new services, Tidal Data Mapping and Geospatial Web Mapping. Please contact us if you have any questions about our new website or any of the services offered by Tekmap Consulting.